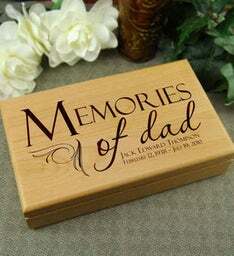 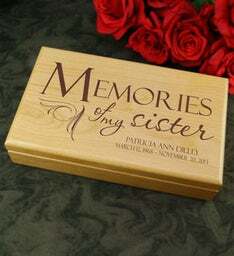 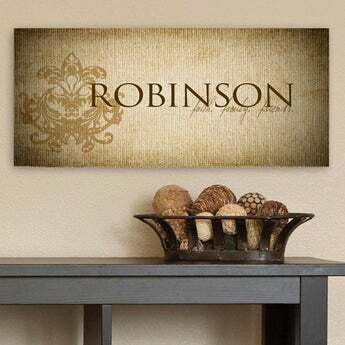 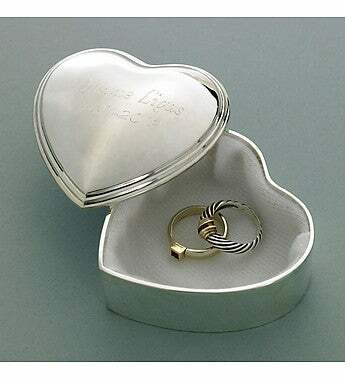 Personalized keepsake boxes hold letters, cherished treasures and memories of a deceased loved one. 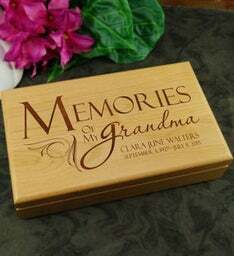 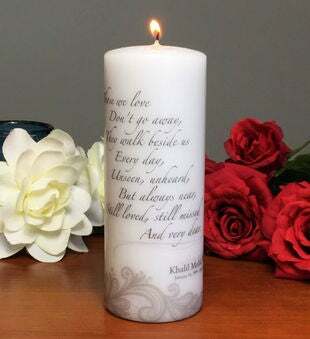 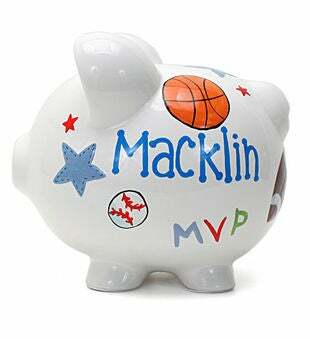 With irreplaceable mementos such as these, you will want to be sure your keepsakes are stored with loving care. 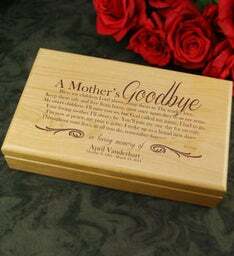 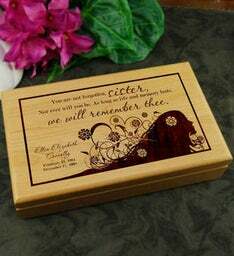 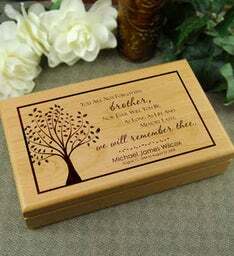 Each memorial keepsake box is engraved with a name and a etched design.